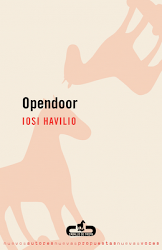 Havilio’s first novel, Open Door, was published in 2006. The novel tells the story of a young woman who, after losing her job in Buenos Aires, finds herself sliding into a very different lifestyle in the titular domicile in the countryside. I really enjoyed – if that is quite the correct word – this long, surreal novel and recommend it to anyone seeking something phantasmagoric and different. 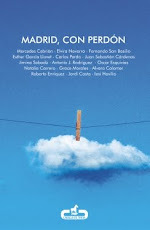 Translated from the original Spanish by Beth Fowler, it is all of or any selection you might like care to make from the following fiction-derived adjectives: Borgean/Pynchonesque/Kafkaesque/Carpentieran. 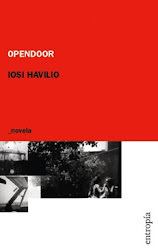 Indeed Havilio’s book is all somewhat hallucinogenic in not only mood, but also action, for the unnamed female protagonist (hereafter Nameless for review purposes), given she is acted on, more than being any causative factor herself, does imbibe on drugs such as marijuana and the morphine dregs left after she pumps huge amounts of it into the somewhat grotesque Tosca, the mass presence in the bizarre squat named el Buti. She also imbibes considerable quantities of alcohol throughout. There is a definite drink-sated and drug-saturated flavour to this book. A man missing a leg is crossing the street dressed in combat gear. Boschean is another novel adjective for this novel, for there are in addition to the abovementioned players, the surly Yessica, Iris the Romanian, Esteban the veteran veterinarian and more especially the transmuting-throughout Eloisa, who is a source of abundant, divisive and erratic energy. Then there are the repetitive echoes of historical characters, who plausibly never existed initially anyway. One Eduardo Ladislao Holmberg crops up a fair bit at odd times, as explained, if that is an appropriate word for Paradises, via the comment: Another coincidence, too much. Then there is the early depiction of the roped-together ensemble trying to avoid the deluge downtown, all too reminiscent of the blind leading the blind. Significantly here, the nameless heroine seems to rather empathize with this breaking and broken cast, such is her own odd pinball ricochet nature from one incongruous situation to the next and to all the oddballs who inhabit them. This book , as sure as any trip into hell, is no portrayal of tight Euro-centric middle class banality; more a scurry through the seedy, the weedy, the needy, the greedy striates of the lower socio-economic castes. 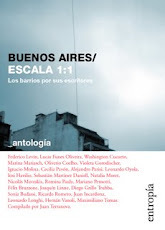 Paralleling the characters is a run down, decrepit and transient Buenos Aries – such as the squat and the Hotel Fenix, if you can even call it that – where Nameless finds herself and her rather neglected young son, Simon: she is at once concerned and rather negligent towards him and spends an inordinate amount of time leaving him with other misfits such as Iris and the very young child babysitter, Herbert This decrepit ambience is conveyed by a description of Benito’s macrocephalic hideaway within the entrails of Toscas’ sprawling apartment, itself within the run down tenement building, which was supposed to have been demolished decades previously: [It was] some strange effect of angles and refractions…as if the scene were submerged in muddy water – words which are a further murky reflection of this entire tome. 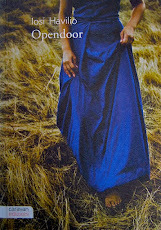 To further stress this crumbling, stumbling, tumbling environment, the reader will note that the farmland of the initial novel, Open Door, where Nameless and her now deceased husband Jamie once lived, is here now being taken over by an anonymous succubus conglomerate – thus causing her eviction without a murmur early on – and is further exposed by sparse and sporadic news media reports scattered through the action/inaction concerning ecological disasters, such as a mighty oil spill. Indeed the disintegrating farmhouse Nameless shared with her road accident victim husband floods away and falls apart, erodes her into a spasm of action. I return to the moments I still remember of Axel’s birthday party…I confuse, invent, transform many of the faces. I superimpose features and costumes onto one single body, big-headed and colourful. Eloisa almost always appears out of focus, half monstrous. 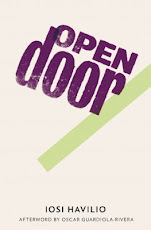 To add to the oppressiveness of the tale, snakes and lizards and many creatures in between, also crawl through the text. Iris tells Nameless episodes about snakes in her Romanian homeland more than once. Nameless works in the reptile area of the very odd zoo; she untroves an ancient huge book on snakes tied to Holmberg, which she reads and reflects on frequently in her sporadic free time; while she also frequently has: Snake nightmares [which] return. Then on the final page there is a full-page black and white graphic – of a snake, which is actually the final chapter in its wordless entirety. Why this ophidian fixation? For me, it is a firm nod to an ever-present lurking and sexually-nuanced evil, the Fall without redemption, that everyone in this novel is close to attaining or has already attained: In order to relax, I start tracing what’s left of the snake. It’s head is never-ending. The heat pushes out to the street during the night. Rain or refreshment, you get the feeling that something’s going to happen. It’s been like this all day, heavy and indefinite. …all the things that just a few weeks ago seemed absurd now feel completely normal to me. Axel, the sort-of beau of Eloisa, is another very passive protagonist caught in the treacle that is the languid and limpid flow of this novel: he comes across as more an extension of his many computers than as any vibrant flesh and blood whole. So, contingency is king and devolves into this endemic passiveness, impotence, oppressiveness: a small dog comes out of nowhere and barks at me, irritated. There is an unexplained delay on the train journey; the ‘innocent’ young man has just been killed on the streets among a crowd of onlookers; the circuitous trawl to the bank to retrieve funds and the Joseph K ‘explanations’ by the clerk there. If, if, if, is also a frequent visitor to the dialogues within. I think that sooner or later we are going to kiss again and see each other naked. There are times when it’s all I wish for and then I don’t even want to think about it. I wonder what it would be like if she kissed me now or if later she felt like stroking my breast and started sucking it. I’d certainly let her do it. Mind you she also at one stage dreamily, in another incubus perhaps, fantasizes about Mercedes the gangster hell- banging her. He – Herbert’s abusive gangster father is a true trouser snake indeed! Nameless rather drifts. Her arbitrary acceptance of whatever future job she is finally offered at the zany zoo stresses her ambivalence about almost everything throughout: What’s your plan? I shrug. She lets everything pan out without very much initiative or volition or drive from within. In such a febrile and economically destitute environment, one wonders does she ‘really’ have any choice anyway? Any human agency is severely lacking in Paradises. Yet she does steal an iguana for reasons she can’t even fathom: I justify myself as best I can. Nothing is consistent, nothing is predictable, except the unpredictability prevailing this volume. At the conclusion, we also never learn why she joins Eloisa’s hare-brained yet ultimately smashingly successful heist to steal the jewels from the sexually apathetic Axels’ distanced and distant relatives, either…or why she suddenly chooses to cut off all her hair, especially when she muses existentially that if she shave it all off (which she then desists in doing): I would stop being me to a certain extent, would become a caricature of myself…being more me than I already am. This is existentialist muddle. A sign of destiny, an oversight of chance, it could be either. Illnesses, accidents, pills, gunshots, the sea. I make a mental list of all the ways of dying that occur to me at that moment. I wonder which will be destined for me. You can tell that eternity is gradually wearing her [Eloisa] down. 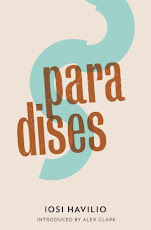 Paradises is a metaphysic of exigency, overtaking any possibility of a planned, cogent, rational path to any sustainable ontological creed. 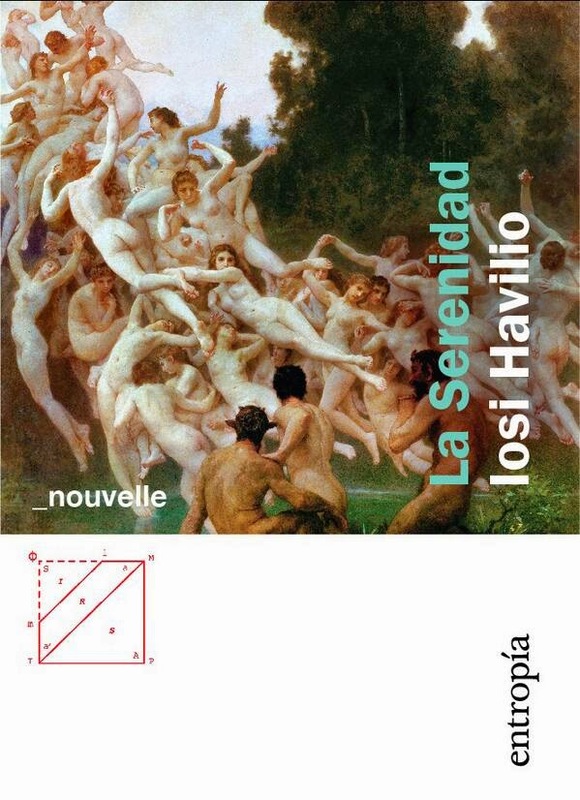 It is as if, actually, that Havilio has been skinny-dipping in the seas of Speculative Realism and in particular being crushed by the nihilistic crests of Ray Brassier and Quentin Meillassoux! Then there is fairly obvious religious symbolism: churches grace the pages from go to woe, such as the Evangelical temple and the Adventist chapel in Nameless’ new city neighbourhoods (not to mention the demented depiction of the Christmas party and its: strange Jesus wrapped down to its feet in a tunic.) Then there are copious references to the perhaps miraculously benevolent Virgin of Syracuse, the Virgin of Tears. I can’t see properly: the stained glass of the chapel projects a diffused light that has a clouding effect. Everything is inevitably epistemologically cloudy. Perceptions go awry and this reader reflects through the haze of Paradises, who or what – if any – is the agent behind them? It’s all rather the anti-phenomenology of the oppressed. Their shared resigned visions leak onto the page as opposed to any sheer impellation to grab hold of what they all experience diurnally and construct away from it. What comes first? 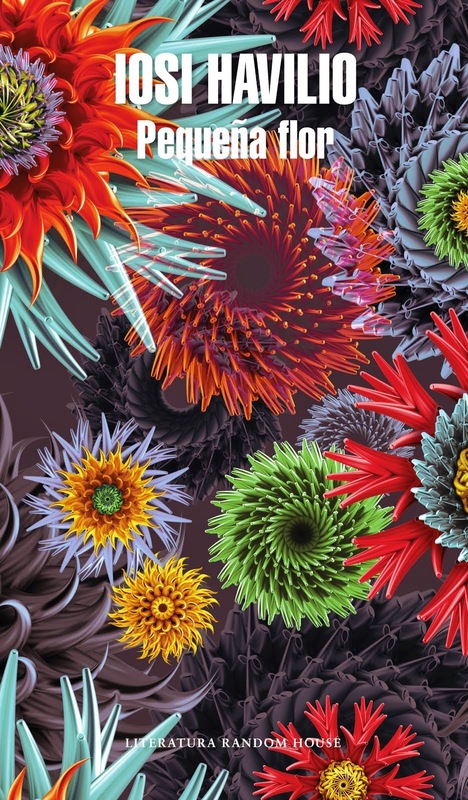 The conceptual miasma or the existential anomie? It is rather like Camus’ Mersault all over again! There are no paradises prevailing in this book, except for the contradictory Paradise trees and their near-lethal effects on Simon…scarcely a paradise at all. Beads from this tree nearly kill her young son, yet bark from it also cures him and – interestingly here – it is only Nameless and Sonia (Herbert’s mother) who condone any credibility to the folk-medicine involved: The antidote alongside the poison, that sounds reasonable. Reputable and ‘reliable’ medical procedures just do not work, any more than similar ‘accepted’ religious tenets, transport systems, commercial infrastructures, roofs, people per se. There may well be certain codes, but Nameless and her cohorts certainly do not have any access to their cogency. It compels the reader to progress laterally, yet literally, through its pages, all the time feeling rather like one has been invited to the very strange costume party Nameless goes to, equally unprepared, at Axel’s strange home. Alex Clark sums this up so well in his percipient Introduction, when he notes: Havilio’s shifting, undefinable exploration of alienation and its surprising consequences…[with its] Correspondingly blank, affectless prose. I cannot agree more. 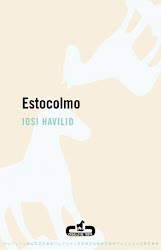 Havilio’s non-reflective writing style – rather like the people it brings into being – is reportorial, distanced, adverbially sparse, as resigned as it is clever: Two teenagers were kissing like amoeba. It’s a whole other world in this, the underbelly of his netherworld of impassively disenfranchised silhouettes of humanity.